Robin Azzam is the founder of Caputron. While pursuing a Masters in medical engineering at New York City College, Robin realized there was a need in the research community for a place to source brain stimulation supplies. Shortly after leaving a position in product development at Soterix Medical, Robin and a few friends set up Caputron with the intention of becoming a ‘one stop shop’ for all things related to brain stimulation. His time at Soterix, working alongside Marom Bikson, led to the sort of relationships that allowed Caputron to become a distributor for high-end products like Soterix HD-tDCS and Neurosoft’s TMS devices. But Caputron also began to carry a large selection of electrodes, cables, straps and stimulation-related accessories. Caputron is now developing their own products, and hope to have their own research-grade home DC current device on the market by the end of the year. They recently began selling their mindGear device which I will cover in detail in the near future. 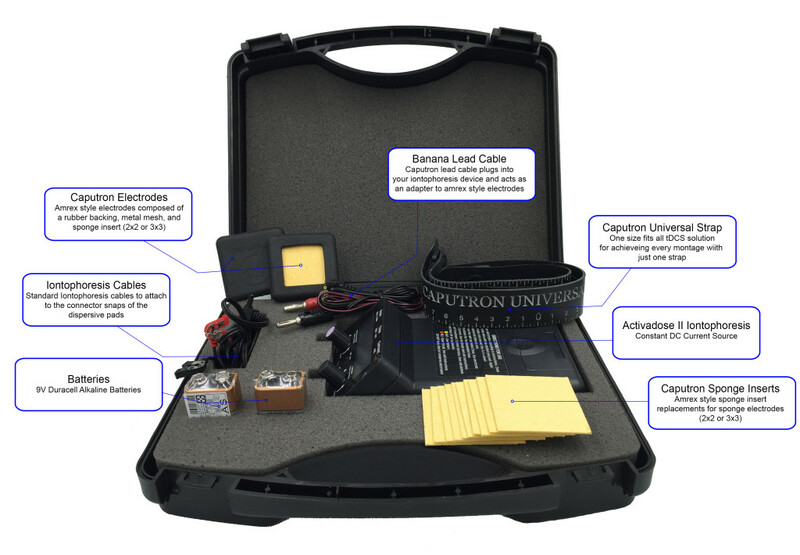 What DIYtDCS readers will likely find most exciting is Caputron’s ActivaDose II Starter Kit. This is the FDA cleared iontopheresis device widely used ‘off label’ for tDCS. It is the device used by two of my previous podcast guests, Dr. Jim Fugedy (for treating depression) and, (at the time) Michael Weisend for research. But Caputron has customized the included accessory package making it tDCS-friendly right out of the box. To that extent, I asked for, and Robin agreed to, a discount on all Caputron products for DIYtDCS readers. Simply plug the promo code ‘diytdcs’ (without quotation marks) into the Voucher window at checkout for a generous discount. Here’s our interview. Your feedback is welcomed! Note: The ActivaDose II has a max output of 4.0 mA which, as you know if you’ve done your homework, is twice as much as is typically used in tDCS research.